There is nothing worse for your business than your refridgeration system going down. Sometimes, there are warning signs a problem is present. Other times, it happens suddenly, and you need emergency support. Whenever you are faced with any type of problem, you need to call a company specializing in the type of refrigeration system you have. 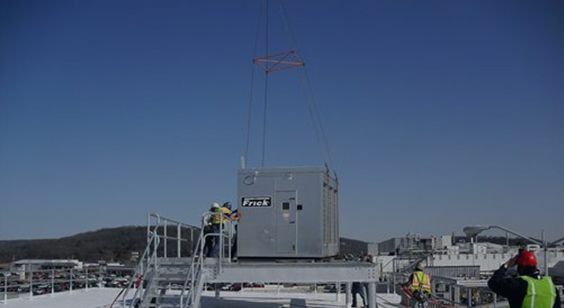 Our team is always available to provide refrigeration system troubleshooting to determine if there is an underlying problem associated with the operation of your business. If there is, we have the resources and tools to get you back up and running again. As a business, you cannot afford to have your refrigeration system not working at its best. Yet, it is very difficult for even a small amount of downtime to occur. As soon as you notice a problem, call our team for refrigeration system troubleshooting as soon as possible. Our team will work closely with you to determine what the cause is and, and, when possible, provide you with a fast solution. One of the most important things to remember is there is not a lot of downtimes to waste. As soon as you notice a problem, it is essential to get help. Invest a few minutes in the options available to you to keep your system running well. The right company keeps you up and running without any risks that could otherwise cost your company significantly. What do you do when there is a problem encountered? Your primary goal is to turn to a company capable of providing you with ongoing refrigeration system troubleshooting. This is what we do and McNeil Industrial. When you need help contact us right away for the support you need to get back up and running again.